I like to think of myself as a non-conformist. I try not to fit in with the crowd or do what's expected of me. You might call this awkward behaviour but those of us who think of ourselves as non-conformists disagree - we're individuals. And to that end we don't buy what cars are expected of us. Whilst the rest of the school-run parents used to pull into the car park in brand new monster SUVs I would drop my son at school in a 25 year old Mercedes 300TE with frilly, rusted wheel arches and gloriously gold paint. I chose it not only because I was a bit short on budget back then but also because I thought it was brilliant, and hardly anyone else had one. I could have chosen a Ford Focus, but that would have been too sensible. Conformists go with the flow. Non-conformists kick against the pricks, sometimes to the detriment of comfort, status and financial wellbeing. If you want to be part of the herd the market has a car that is perfect for your needs. Middle manager in a large corporate with a pension plan, 2.5 children and a house in the 'burbs? Allow BMW to provide with a 3-Series on low rate finance and in a wide choice of colours and specifications. But that would be conforming. Your Beemer might suit your lifestyle and your wallet but it would be largely the same car as all your colleagues and neighbours. As a statement to the world it says you are as boring as a celery sandwich. Instead Mr Corporate could buy a Caterham, Morgan 3-Wheeler, Lotus Elise or even a Citroen C4 Cactus, Mini Cooper John Cooper Works or Ford Mustang if real world practicalities need to be taken into account - and he would stand out amongst his contemporaries as a man who does things differently in a world of worker ants. Similarly if you're looking to swim against the tide Infiniti, Subaru, Dacia and Alfa Romeo make cars like nobody else does. Buy one and you're already winning in the game of life. I can't promise they'll be any good though. To really strike a blow for individuality you have to go back a few years when some car companies seemed to make cars for such small audiences it was amazing they didn't go out of business (although some did). TVR (which did go out of business) made some of the most wonderful machines to grace the roads. 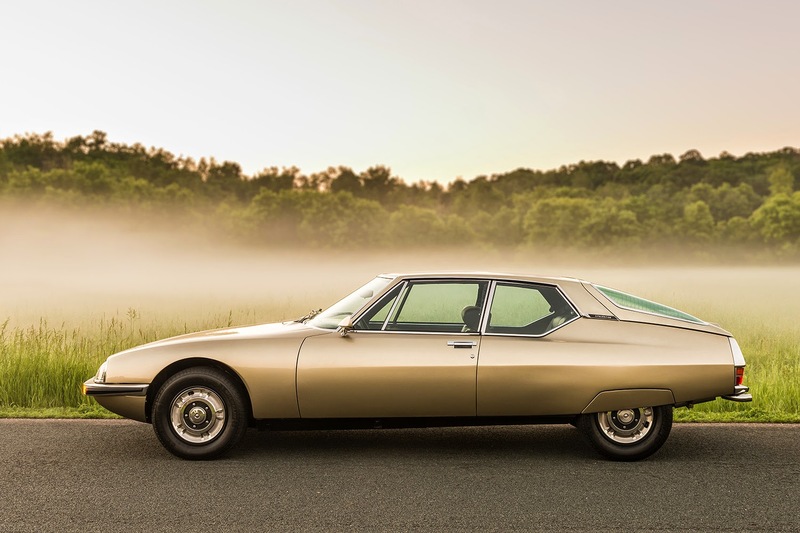 Citroen (which is amazingly still in business) has made some of the most stylish, unique and plain bonkers cars ever. Buy a half decent XM, BX, DS or SM and everyone will know you do not conform to the conventional norms. Saab made cars differently, until GM got hold of the company and blandified it. Maserati makes rivals to Big German Three which are different for the sake of it and Mazda does the same against the rep-mobiles from Ford and Vauxhall. If you're after a city car you could buy a boring (and crap, which is sad as the first one was different AND brilliant) Ford Ka or Citroen C1 or you could go against the flow and get a tiny, rear wheel drive (and engined) Renault Twingo. But for those really unique and most definitely non-conformist cars we have to look to the cul-de-sacs that car companies sometimes build, and then stop building because nobody bought them. It might look horrible but the Mercedes-Benz R-Class was intended to create a new class of car, and failed. The R-Class is a standalone Quasimodo in a world of Esmeraldas and as such buying one is as non-conformist as it gets. Vauxhall, purveyor of cars that are bought by the truckload, once made a kind of semi-luxury estate/hatchback with two individual rear seats that had plenty of legroom. It was called the Signum and nobody bought it, which is why it is as rare as a German comedian. The Volkswagen Phaeton (vast, luxurious, same as a Bentley under the skin) was built to transport VW's board of directors but as you could buy the same car with an Audi badge on it no-one who didn't work for Volkswagen bought one. I'm sure I've missed many interesting, unusual, unique and defiantly non-conformist cars. If you know of one let me know.